Serving Grundy Center, Waterloo, Cedar Falls, and Marshalltown With Choice Lawn Care, Landscaping, and Property Maintenance Services. We know you have a preference when it comes to your landscaping and lawn care needs. That's why we strive to be the best option when it comes to making sure your business looks it's best. Our landscaping professionals are here to help by providing the level of service you are looking for with consistency you can count on. Your satisfaction is guaranteed. Lawn care is no easy task. Leave it up to the pros at Frontier Landscaping & Lawn Care. Make a great first impression with a beautiful, manicured lawn. Let us help you create your dream landscape. We work with you in every step of the process, from design all the way through to project completion. Nothing looks quite as good as a custom walkway or retaining wall. Our experts can design and produce a breathtaking display for your business or backyard. Your lawn is a living thing, and like most living things, it needs to be fed to thrive. Our experts know just what your lawn needs to feel its best. Iowa has very snowy winters, and it can be hard to deal with. Our experienced staff can make even heavy snowfall a much simpler task. Weeds are everywhere, but they don't have to be on your lawn. Our first-rate weed control services work to eliminate problematic, unsightly weeds. We take pride in our work and are ready to take care of any of your lawn care or landscaping needs. Our capable staff completes your project in a timely manner with exceptional attention to detail. All of this at an affordable price you'll love. The best way to make a great first impression is by having a professionally cut lawn. When potential customers or clients see those beautiful stripes, they'll know you take your work seriously. Invest in your lawn, and your business, with Frontier Landscaping & Lawn Care. Your Lawn Could Look This Good. Even if you don't take advantage of our affordable services, you can make personal lawn care easier on yourself with top-of-the-line equipment. 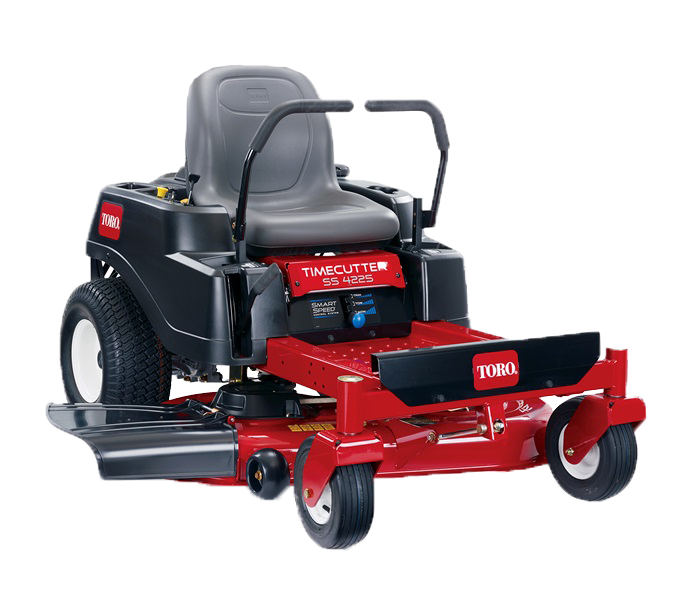 Take your lawn to the next level with Toro brand products from Frontier Landscaping & Lawn Care. Looking for a Career With Frontier? We are always looking for talented people to join our workforce. If you are able to work by yourself, with a team, and are willing to learn; we would love to have you apply. Frontier Landscaping & Lawn Care was built to provide people and businesses with top-rate services at an affordable price. We offer a wide variety of services to fulfill your every need. Give us a call and see the difference Frontier can make.